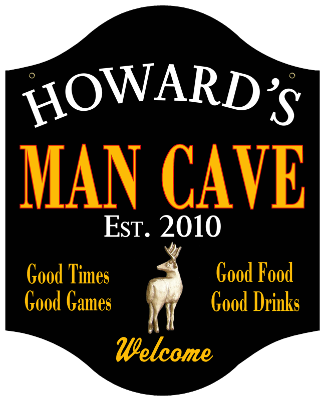 We have the largest selection of Personalized Man Cave Signs on the internet. 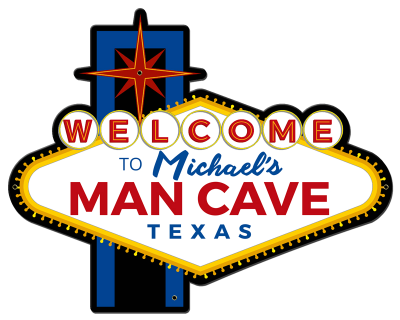 All our Man Cave Signs are proudly MADE IN THE USA & are either made of quality wood or American Steel. 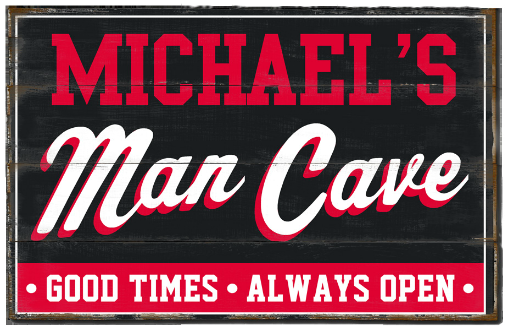 The words "Man Cave" is on every sign on this page. To view our entire collection of signs with various other themes, view SIGNS & DECOR. 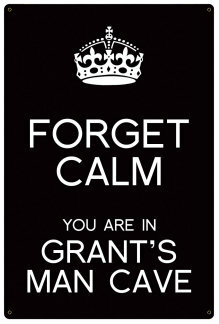 FREE PERSONALIZATION for all Man Cave Wall Decor & Signs. Large handmade American 20-gauge steel sign. 2 sizes available. Made in the USA. 2 ft. long handmade American 20-gauge steel sign. Made in the USA. Personalize your name & a second line of text. Handmade American 24-gauge steel sign. Made in the USA. Have something to say? 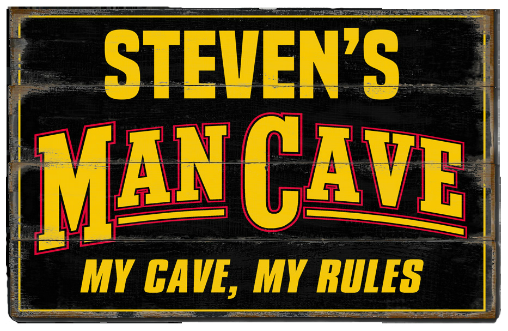 Create your own Man Cave Sign. Choose from 6 different color backgrounds. Handmade American 20-gauge steel sign. Handmade American 20-gauge steel sign. Made in the USA. Large size. Choose from 4 background wood colors. Made in the USA. 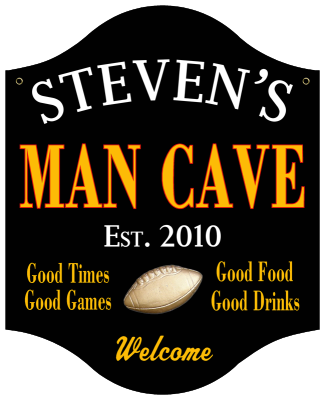 Looking for unique and original MAN CAVE SIGNS? 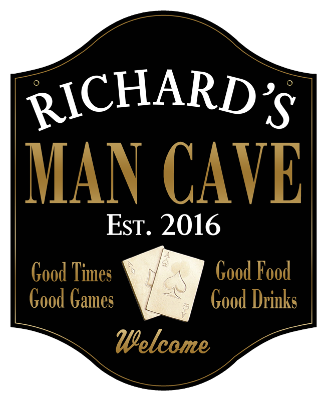 Featuring the largest collection online of exclusive signs for the Man Cave, Personalized Man Cave Signs & Non-Personalized Man Cave Signs to fit any Man Cave theme. 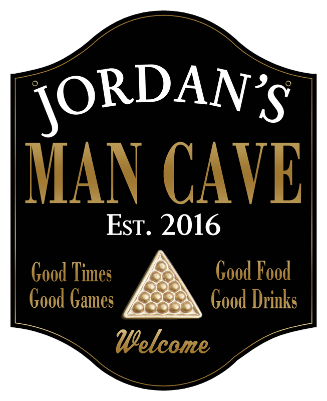 While others may try to claim it, we were the first store online devoted to selling and even creating original Man Cave Signs. 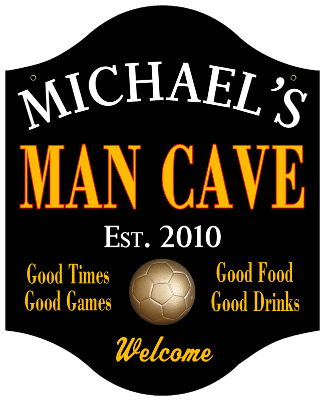 The majority of our Man Cave signs are our exclusives and can't be purchased anywhere, except here at Man Cave Gifts. 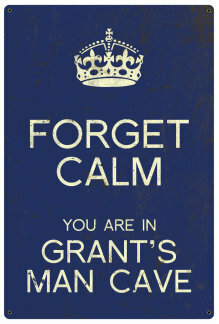 Also see our complete sign and decor collection with many themes to choose from. 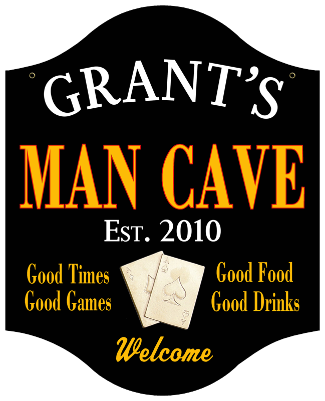 Our collection includes bar signs, sports signs, pub signs, garage signs, neon signs, specific hobby signs, plus more. 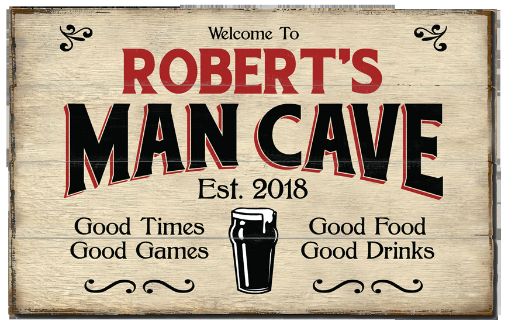 Looking for awesome, unique and original themed Man Cave signs and other themed signs and Man Cave decor for a Man Cave, office, garage, family room, groomsmen or for gift giving? 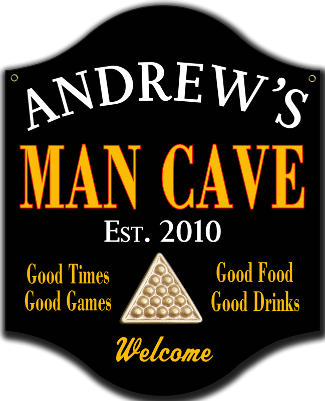 Since 2009, we were one of the first online stores to have Man Cave themed Gifts and Man Cave signs. 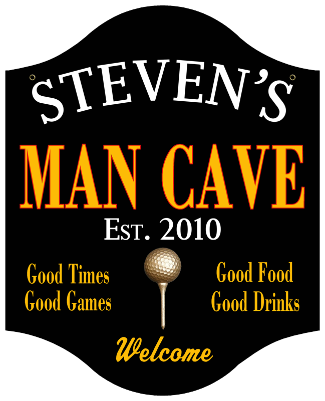 All of our quality Man Cave signs are custom made and are proudly made in the USA. 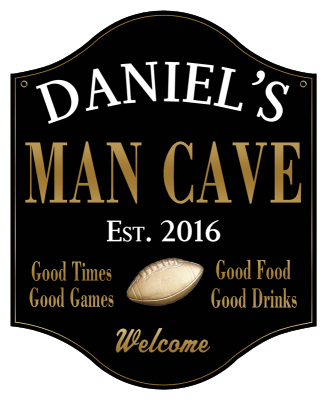 We are your source for exclusive and original themed Man Cave Signs and other themed signs for your Man Cave, office, garage, family room or other designated room. 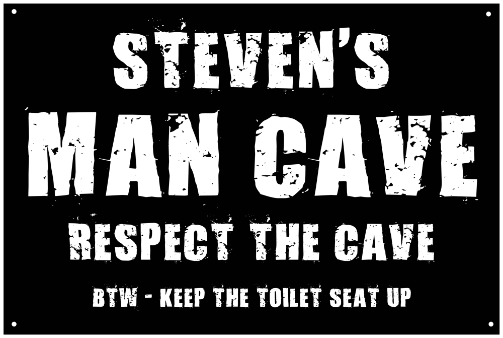 This is where you will find signs with the popular words, MAN CAVE or signs with the words, MEN or MAN. 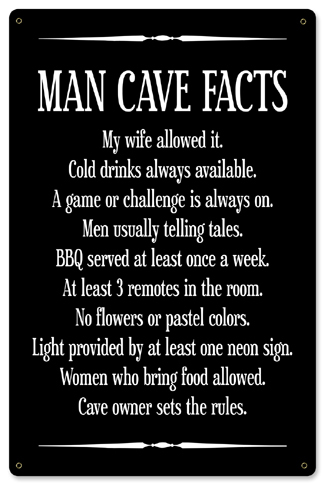 This Man Cave sign section is where you will find mens signs with the popular term, Man Cave. We have the Man Cave sign that you are looking for, no matter what your theme of your Man Cave is. 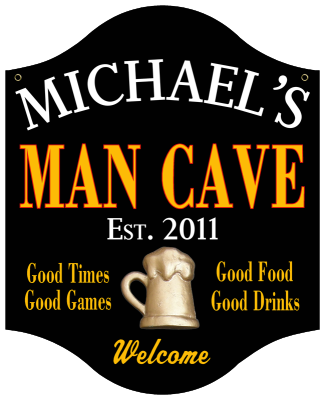 We carry non-personalized Man Cave signs and personalized Man Cave Signs. 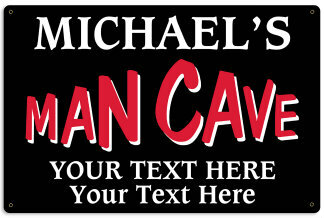 All personalizations for our personalized Man Cave signs are FREE. 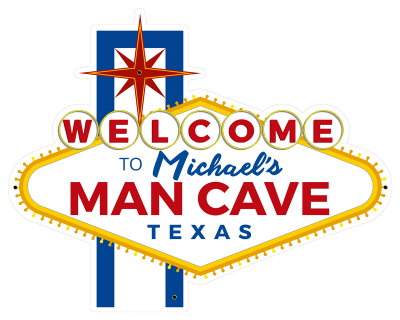 Most of our personalized Man Cave signs are processed in only 2-4 business days. 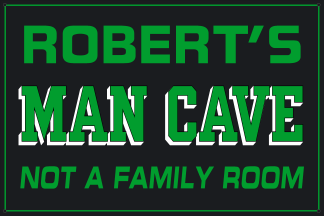 Our non-personalized Man Cave signs are usually processed in one business day. 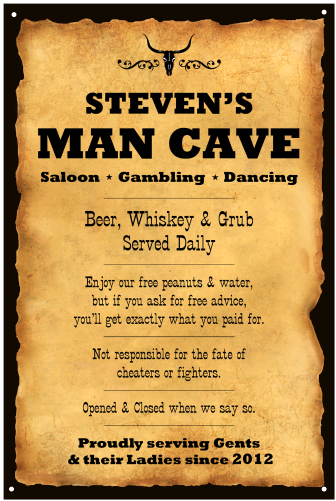 Our original and exclusive Man Cave Signs. 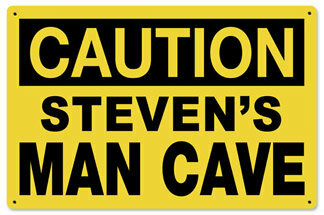 Need a sign for the Man Cave? 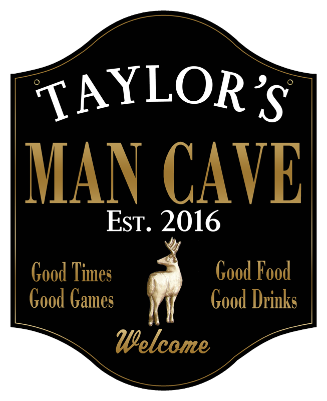 Many of our Mancave signs are exclusive, meaning you can not purchase them anywhere else except for here at Mancave Gifts. 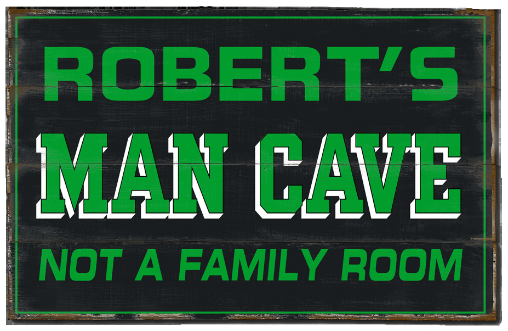 You will know which one of our Man Cave signs are exclusive because they have the words, A Man Cave Gifts Exclusive! in the description. 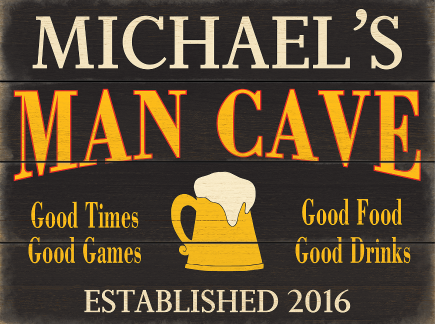 All of our originals and exclusive Man Cave signs are also custom made from USA manufacturers and artists who take pride in their craftsmanship and service and most importantly, produce quality and affordable products that are enjoyed for many years. 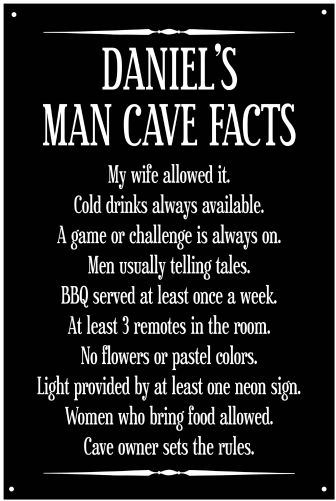 Which Man Cave Sign do I choose? There are many signs or wall décor that can be chosen for a Man Cave. 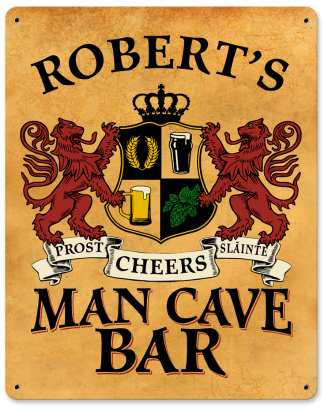 But, one of the first products purchased for a Man Cave, is an actual Man Cave sign. 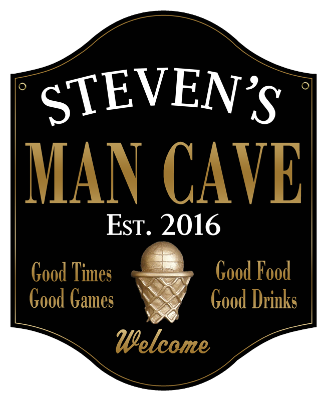 Even before the plans for a Man Cave are dreamed up, or a theme is chosen or even before a Man Cave is actually finished, the first sign of choice is a sign that has the words, Man Cave. 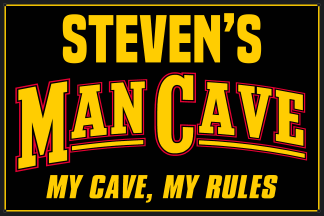 The Man Cave sign designates the space an official Man Cave. Some of our purchasers of Man Cave signs are wives, who tell us that for their husbands birthday, Christmas, retirement or other special occasion, they are giving their husband a Man Cave and one of our Man Cave Signs is the gift that makes the Man Cave official. 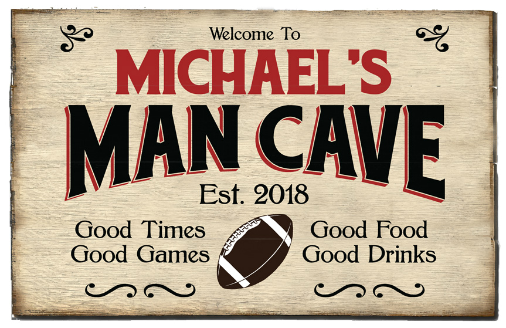 Choosing the Man Cave Sign is easy when you shop with us at Man Cave Gifts because we have Man Cave themed signs that fit and can be custom made to fit any interest, passion or hobby. 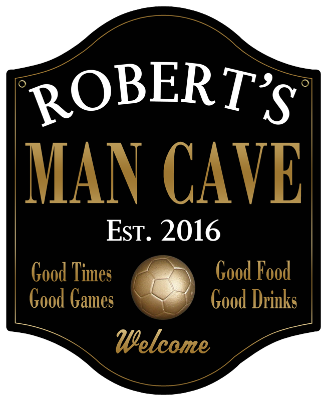 After the Man Cave Sign is purchased, many other Man Cave wall decor items are also purchased depending on the Man Cave theme and or the Man Cave owners interests, hobbies or passions. Popular Man Cave signs and Man Cave decor products are Neon Signs & Clocks, Pub Signs and Bar Signs, Garage Signs and Sports Signs (NFL and football, MLB and baseball, NHL and hockey, NCAA, golf, basketball, soccer, fishing, hunting, nautical & boating, plus more.) and other sports memorabilia. 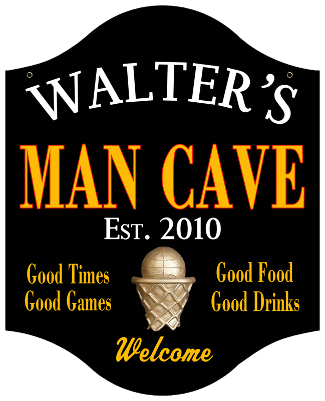 For more popular signs and decor for the Man Cave see our selection of mens signs and decor. There you will find many choices (Eg. poker, billiards, music plus more) for signs and decor for men. 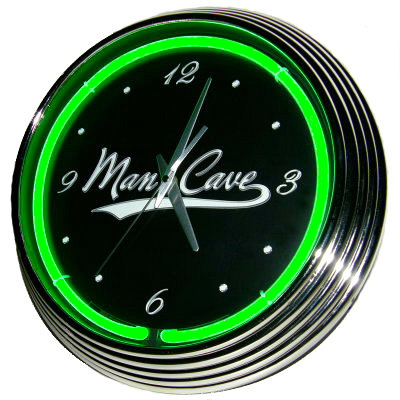 Find a perfect gift for men who have a Man Cave or enjoy their own space. 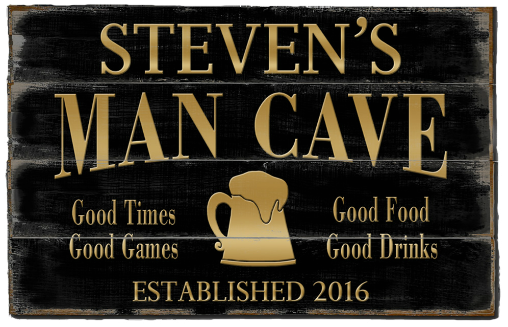 Man Cave Signs are ideal for birthdays, anniversaries, Christmas, Valentines Day, Fathers Day gifts, retirement gifts, groomsmen gifts, any special occasion or just because. 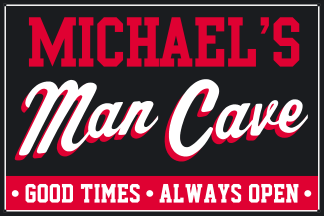 When you purchase a Man Cave sign from us, not only will you receive a quality product at an affordable price, you will also receive excellent customer service and care. 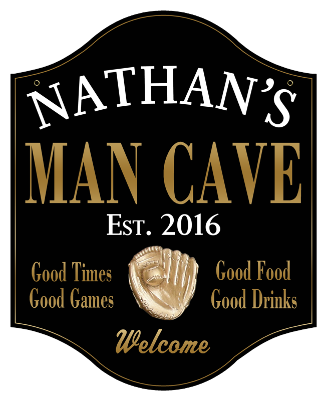 For any inquiries or questions about any of our themed Man Cave products, gifts for Mancaves, our Man Cave signs or your Man Cave sign order, please contact us. 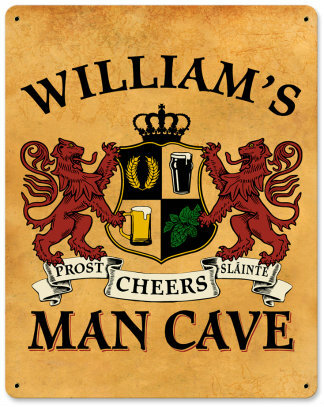 Decorate your Man Cave today with a Man Cave Sign from MAN CAVE GIFTS! 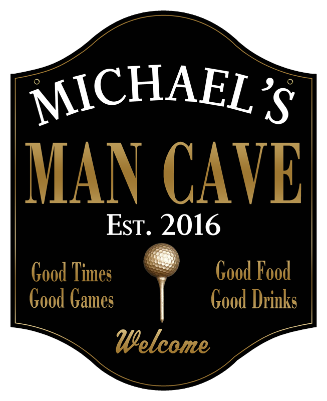 * Please note that all man cave sign products in this section are purchased from and shipped by our company, Man Cave Gifts (mancavegifts.com), not from another company that we refer you to via our Referral Network.